ACCESS HOURS: Monday - Friday 8:30am - 5:30pm. Closed on the Weekends. We do NOT have after-hours access. Mesa RV and Boat Storage is part of German Autotec, which has been on Main St. for ~ 30 years. 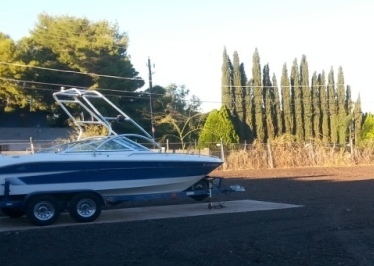 Over an acre & in a great location - The Perfect place to store your Boat, RV or camper in Mesa. Ready to store your big toys with us?